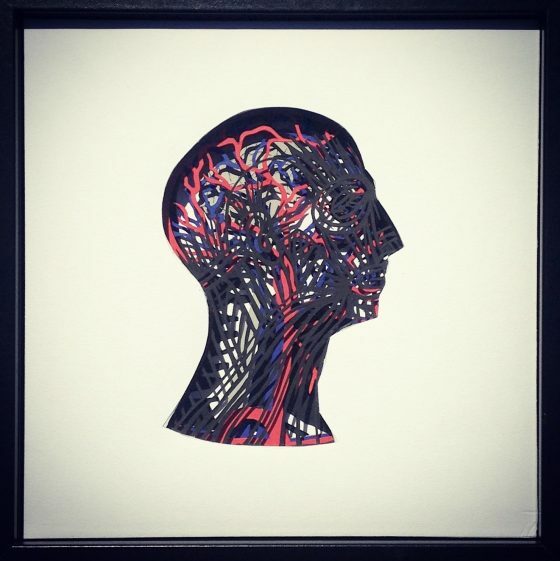 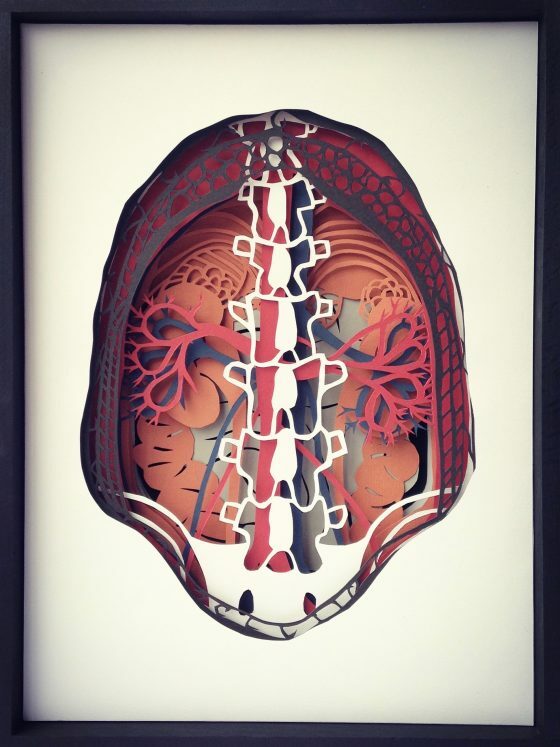 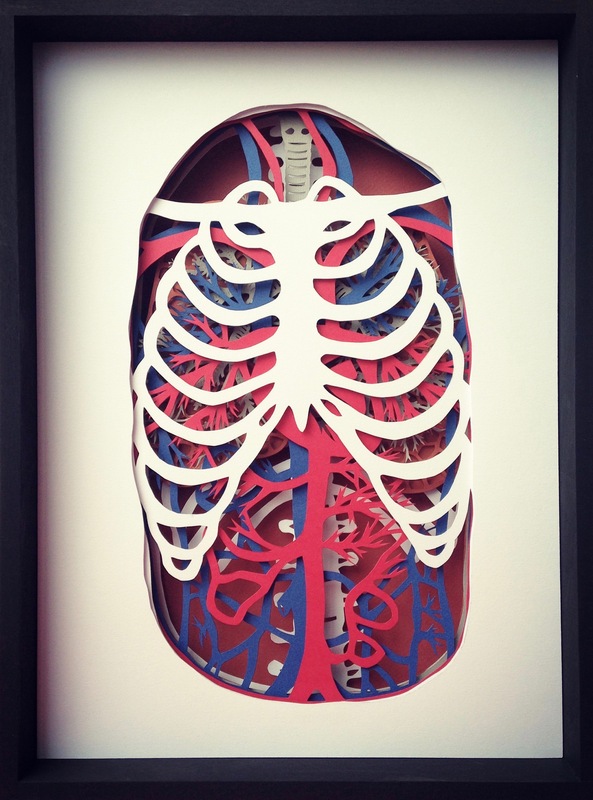 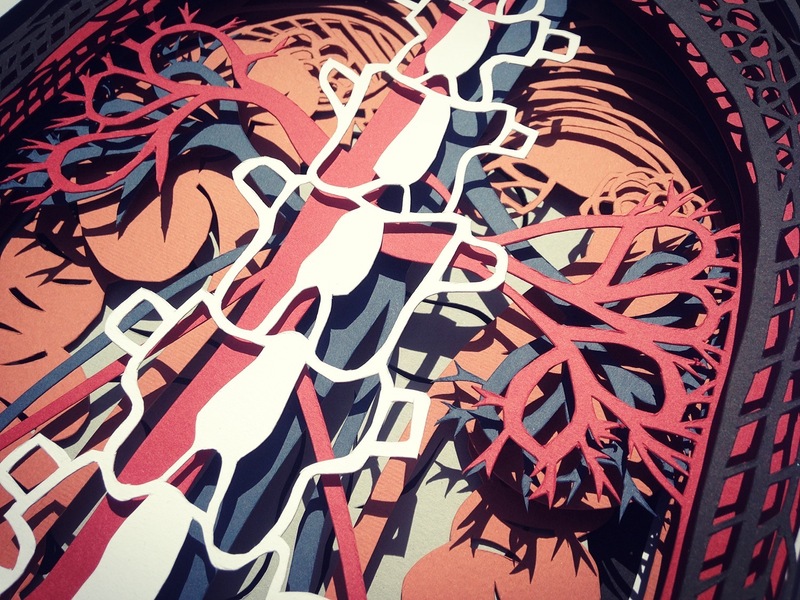 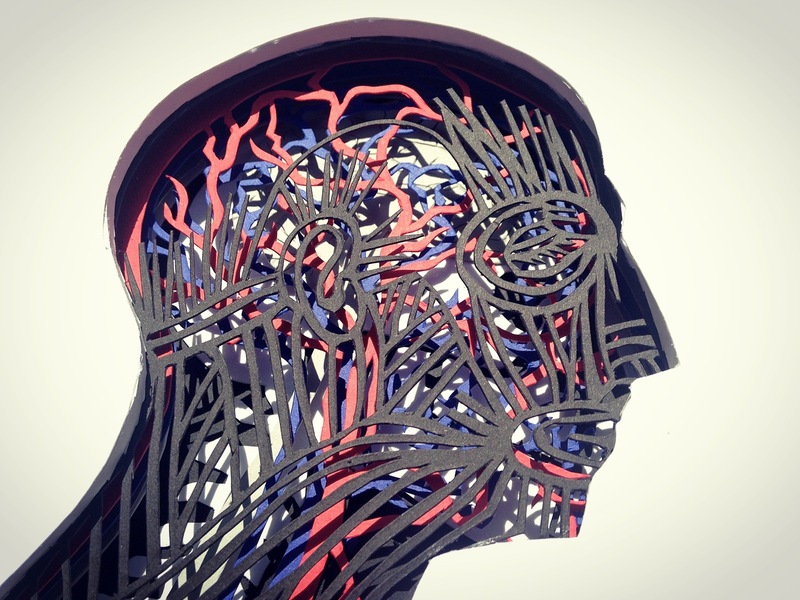 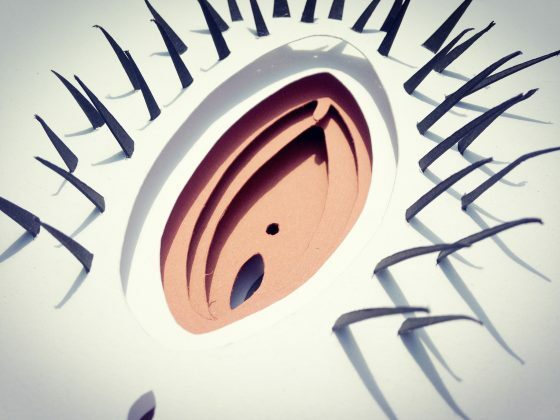 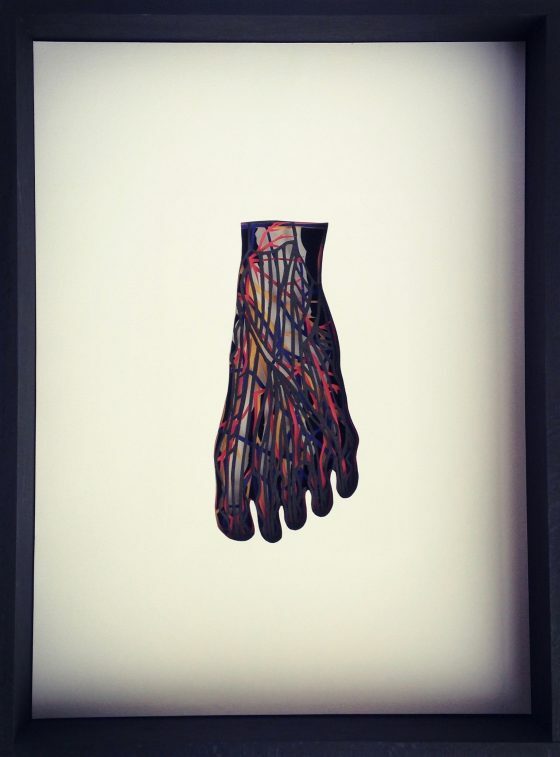 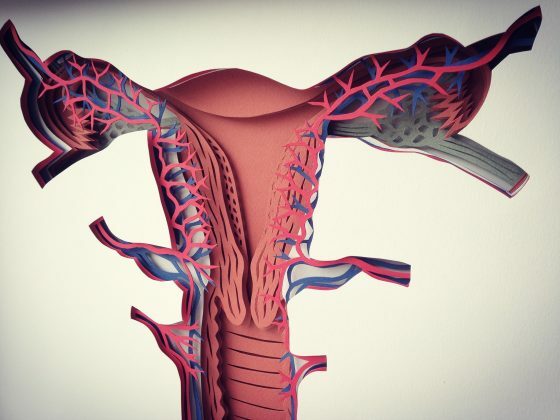 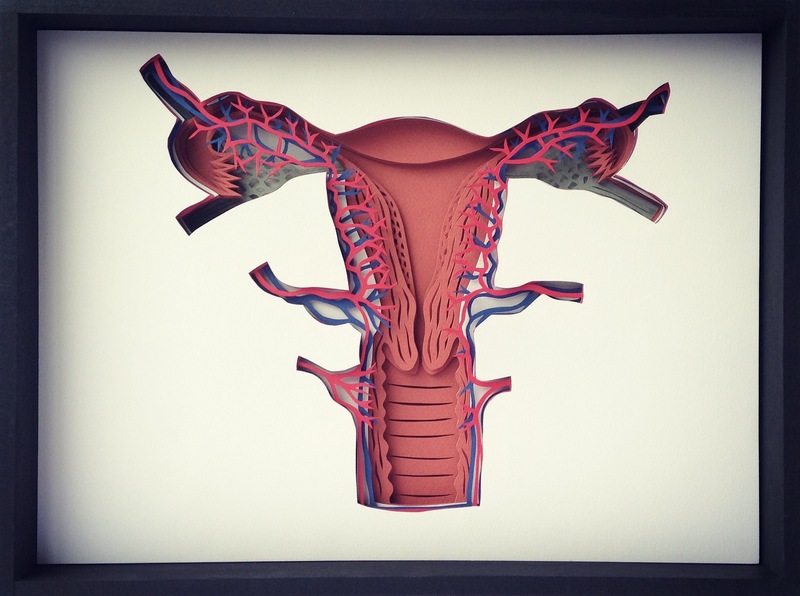 Ongoing series of papercut interpretations of anatomical images. 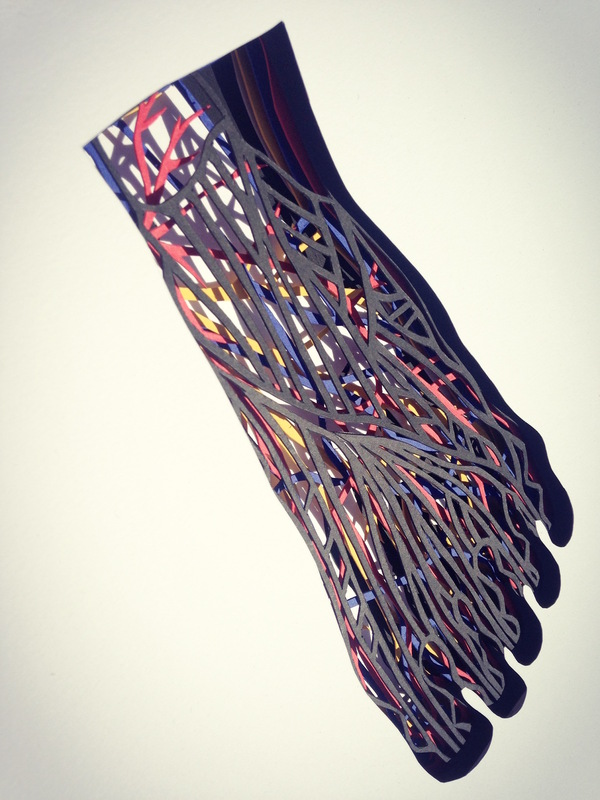 Each piece is inspired by a diagram sourced from an old copy of Gray’s Anatomy. 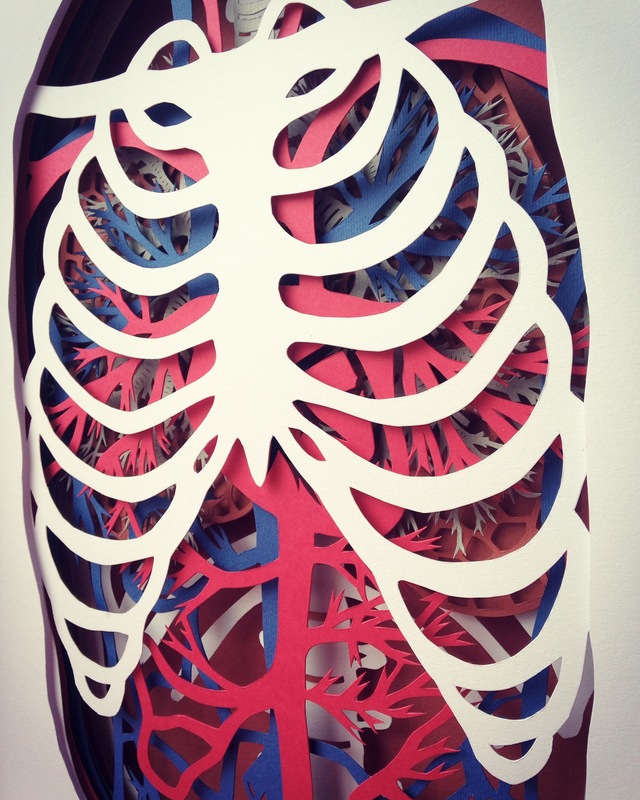 Every level is then traced and cut into a cardboard of a specific colour, respecting when possible the colour code used in the books: red for arteries, blue for veins, yellow for nerves and so on. The layers are then mounted together, spaced with foam board and framed.